Great opportunity for your young baseball players to get some training in on the off-season! Training program for beginning baseball fundamentals in throwing, receiving, sliding, hitting and fielding. Build good throwing and hitting habits early and avoid injury with professional instruction for beginning baseball players. 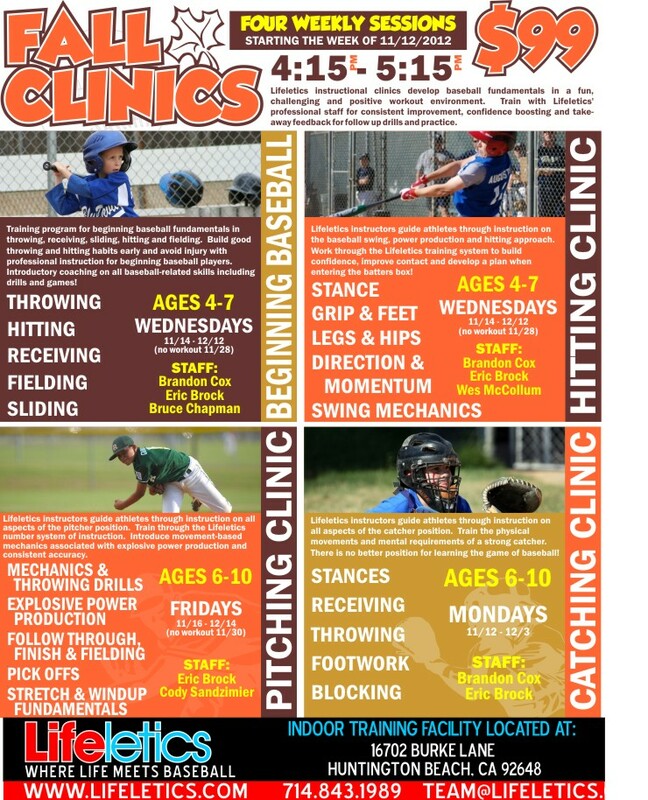 Introductory coaching on all baseball-related skills including drills and games! Lifeletics instructors guide athletes through instruction on the baseball swing, power production and hitting approach. Work through the Lifeletics training system to build confidence, improve contact and develop a plan when entering the batters box! Lifeletics instructors guide athletes through instruction on all aspects of the pitcher position. Train through the Lifeletics number system of instruction. Introduce movement-based mechanics associated with explosive power production and consistent accuracy. Lifeletics instructors guide athletes through instruction on all aspects of the catcher position. Train the physical movements and mental requirements of a strong catcher. There is no better position for learning the game of baseball! Visit www.lifeletics.com for more details or to signup!